Welcome to the May edition of the MQGem Monthly Newsletter, bringing you company news from MQGem Software, information about the MO71, MQSCX, MQEdit, and QLOAD products, our IBM MQ training modules, and interesting articles about IBM MQ. The selection of speakers presenting at this years MQTC conference is growing. Get all the details here. Celebrations for MQ’s 25th Birthday are beginning to appear, with this blog post and video. We look forward to more through the year as we approach the date. 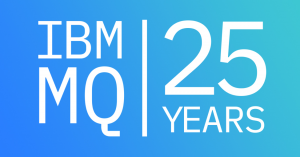 Follow the twitter hashtag #IBMMQ25. A minor update was made to MQSCX to support IBM MQ command Level 905. IBM released the latest continuous delivery release on HPE NonStop, MQ V8.0.3. Read more here. How does MFT resource monitor batching work? Why am I doing these report format queries? For V8.0.0, Fix Pack 9 (next 2Q 2018). For V7.5.0, Fix Pack 8 (next 3Q 2018). MQGem is wondering whether you have checked out the new IMWUC platform yet? We’d love to hear from you. Get in touch by email or follow us on one of our social media channels.